365 inspirational quotes to open, read and meditate. Presented in a nice tin box. Dosage: Open a message every day for 365 days. 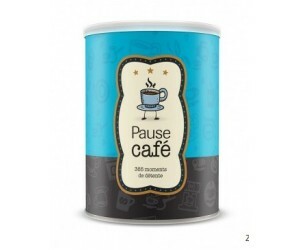 The gift that lasts!365 inspirational phrases to open, read and meditate.Presented in a nice tin b..
280 french sweet notes, 1 per day during 9 months !